Astronomy, like any experimental subject, needs statistical methods to interpret data reliably. 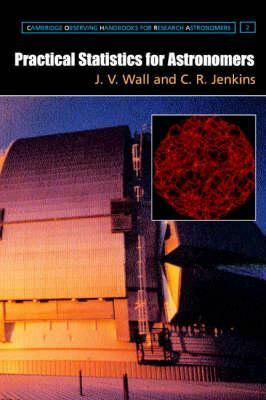 This practical handbook presents the most relevant statistical and probabilistic machinery for use in observational astronomy. Classical parametric and non-parametric methods are covered, but there is a strong emphasis on Bayesian solutions and the importance of probability in experimental inference. Chapters cover basic probability, correlation analysis, hypothesis testing, Bayesian modelling, time series analysis, luminosity functions, and clustering. The book avoids the technical language of statistics in favour of demonstrating astronomical relevance and applicability. It contains many worked examples, and problems that make use of databases which are available on the Web. It is suitable for self-study at advanced undergraduate or graduate level, as a reference for professional astronomers, and as a textbook basis for courses in statistical methods in astronomy.